ServSafe – We will post new dates and locations once they are finalized. 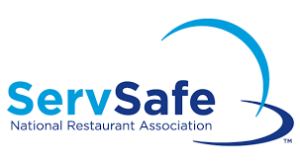 This ServSafe Manager course was developed by the National Restaurant Association to deliver advanced food safety knowledge and certification. This course is accredited by the American National Standards Institute – Conference on Food Protection, and meets Person in Charge (PIC) requirements. It blends the latest FDA food code with best practices for delivery of safe food to consumers. Participants will learn the latest and best food safety practices including safe food handling, cleaning and sanitizing, and implementation of an effective food safety culture. It is a vital course for anyone working in the restaurant and hospitality industry. This 8-hour course focuses on review of the information presented in the ServSafe Manager’s workbook, followed by the certification exam. Fee: $250 per person. Fee includes refreshments, lunch, workbook, and examination fees. If you require registration assistance, please contact Cathy Blood, blood@wsu.edu or 509-335-2845. If you have questions about content, please contact Stephanie Smith, steph.smith@wsu.edu or 509-335-5737. Your fee includes materials, certificate, lunches and refreshments. Please pre-register and pay by March 22nd to receive the manual in a timely manner. Attendees are asked to review the manual and become familiar with the material prior to the training. Registration after March 22nd may not allow enough time for the manual to ship and attendees to study it. Check-in begins at 7:45 am. Training is scheduled from 8 am to 5 pm. Cancellation Policy: Cancellations will be accepted up until 10 days prior to the course being held, less $50 will be refunded. After that time, no refunds will be made for cancellations. Substitution Policy: Substitutions will be allowed at any time. For additional information please contact our office at 509-335-2845, blood@wsu.edu. Payment Policy: Your registration is not final until full payment is received. You can pay with a credit card (Visa or Mastercard) or check. Please send check payments prior to beginning of the course. Course materials will only be available for paid attendees.